Pastor Andile kaMajola has a revolutionary approach into dealing with society's insoluble challenges. He is young dynamic minister of the gospel, based in Durban, raised by God in these times for South Africa and the world. Pastor Majola has a gift of dynamic teaching of the Word of God and translating it into practical realities of life as faced by majority of people. Pastor Andile kaMajola is on demand throughout South Africa. 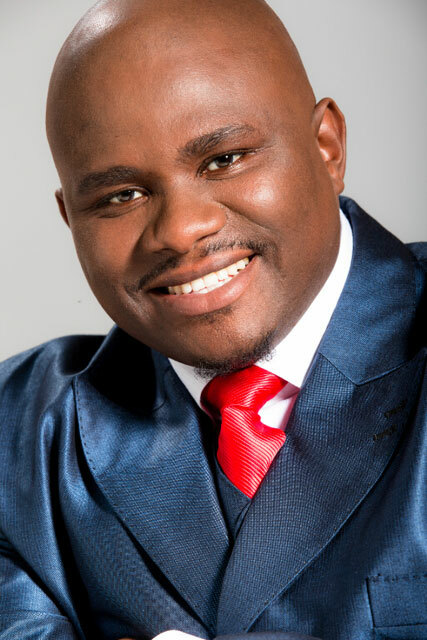 In addition to his music, he is one of the few preachers whose sermons are sold in commercial shops throughout South Africa. Pastor Majola's ministry has impacted all people, the poor and the rich, the educated and the non-educated, the terminally ill, and so forth. Against all odds, from being affected by the injustices and disadvantages of the past in the streets of Durban some twenty years ago, Pastor Andile kaMajola has become a successful inspirational gospel minister, and multi-award-winning gospel artist. Pastor Majola is the founder of the fastest-growing church in Durban, All Nations Cathedral International Church (ANCIC) (with a current full membership of about 10 000) and is currently in the process of building a 20 000-seat structure for the church. Pastor Majola flows in apostolic and healing anointing. Pastor Andile ka Majola is actively involved in a number of community projects, like Taking a Child to School, which he founded himself, and The Conquerors Foundation, which is a community-based foundation that helps people with the different challenges they face. Pastor Majola is also the founder of Elinda Productions, an entertainment company that has been involved in organising of some major events in South Africa and abroad, such as the New Orleans Jazz Festival, Tsunami Victims Recovery Funds Project and The Dove Awards. He has recorded many successful albums, including uThando Lukababa; African Unity (recorded live at Durban Christian Centre); Andile ka Majola Chapter 3 (recorded live at Durban City Hall); and Andile ka Majola Chapter 4 (recorded live at full capacity crowd at Durban ICC Arena). He has worked with a number of local and international artists and has also managed major gospel festivals and conferences, working with local and international ministers of religion. Andile ka Majola also holds a diploma in Music.